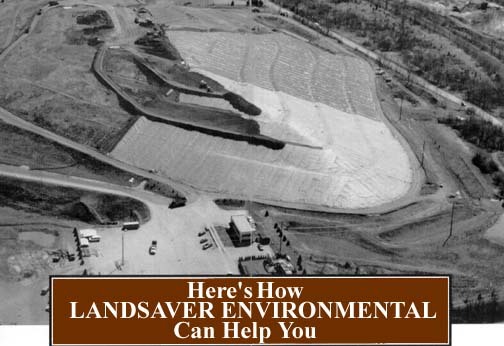 Landsaver Environmental can furnish, install and repair virtually any geomembrane liner in existence. We provide what-you-see-is-what-you-get pricing. No hidden costs that show up after the contract has been signed. specifications you provide are fulfilled. Since 1990 we have been involved in the successful completion of over 100 liner projects totaling more the twenty-five million square feet of geomembrane liner installed. We can handle any size project in the Mid-Atlantic region, from repairing a small puncture to the complete installation of a seventy-five acre landfill. Let Landsaver Environmental show you that excellent customer service is our number one goal. For Geomembrane Liner Materials or Installation Service, Call 800-588-9223.